The Book Rat: Interview with Liz DeJesus, author of the First Frost series! 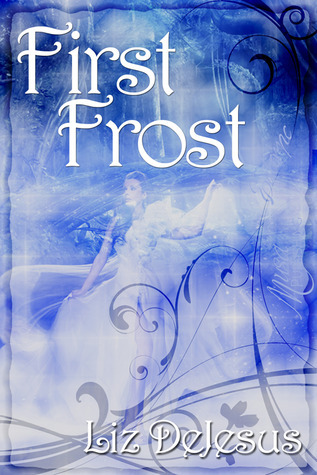 Interview with Liz DeJesus, author of the First Frost series! 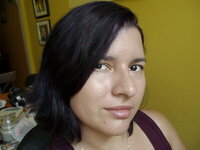 Please welcome to the blogness the lovely Liz Dejesus! She's been 'round these parts before, and is taking some time away from her busy AMAZING PERLER BEAD CREATION schedule to chat with us before the impending release of the next book in her Frost series, Shattered Frost! Can you tell us a little bit about SHATTERED FROST, the brand-new book in your Frost Series? Bianca Frost and her BFF Ming Lee return to Everafter to attend the Winter Ball with their boyfriends, Terrance and Prince Ferdinand. They were looking forward to a short vacation, especially Bianca, who is being bullied at school. She is looking forward to the day when she can finally graduate from high school. But all is not cute hair and fancy shoes as a mysterious count sets his sights on Bianca at the ball. When Count Jonathan Bleu kidnaps Bianca and Ming, the pair must do everything in their power to escape his clutches. In this amazing adventure, Bianca and Ming find themselves traveling down a rabbit hole, where they have to survive the madness of Wonderland in order to make it back home to the men they love. Bianca and Ming must travel to the Queen of Hearts’ labyrinth, find Bluebeard’s key and save Jack of Hearts before Bianca loses everything she holds dear. What I love about this book is the fact that you get to read chapters from Terrance's point of view. And it's one of the reasons why it took me so long to finish the book. It was very hard for me to get inside his head and write. But it was an absolute pleasure for me as a writer to get to know him better as a character. I really hope fans of the series enjoy this book. Bianca Frost's mother runs the COOLEST museum. If you could own one fairy tale artifact from the museum, which would it be and why? It's a tie between Red Riding Hood's cape and Cinderella's Glass Slippers. Mostly because I would use the cape to help me get places, my internal GPS is the worst. LOL And Cinderella's slippers because they can grant you your heart's desire. The Three Heads of the Well and Little Rique with the Tuft. The Witch from Hansel & Gretel. I mean she made a house out of candy! - Invsibility cloak or golden ball? Invisibility cloak. Take a look at these bad boys -- err, glorious gals? -- because the series is getting a cover overhaul! I'll be sharing the brand new covers, as well as revealing the cover of the 3rd book, Shattered Frost, on Thursday! Until then, let us know your thoughts on Liz's answers, or some of your own, in the comments! Soo... Is this a contemporary setting with royalty? Or is it like an alternate world? I never actually heard of this series before. I am headed over to Goodreads to check it out, but I think my internet just died... Anyway, it sounds interesting. Hi Amy! Fairy tales actually serve as a foundation to the series. My main character, Bianca Frost helps her mom run a fairy tale themed museum where they have items such as Snow White's Poisoned Apple, Cinderella's Glass Slipper, Sleeping Beauty's Spinning Wheel, among other items. Bianca finds out that she's a witch as well as a descendant of Snow White. Ooh, okay. Sounds cool and thanks so much for the reply. I've never heard of this series before...how cool! I'm intrigued that the story is told from the point of view of one of the love interests, not the two girls (who are the main characters, from the blurb, it sounds like).